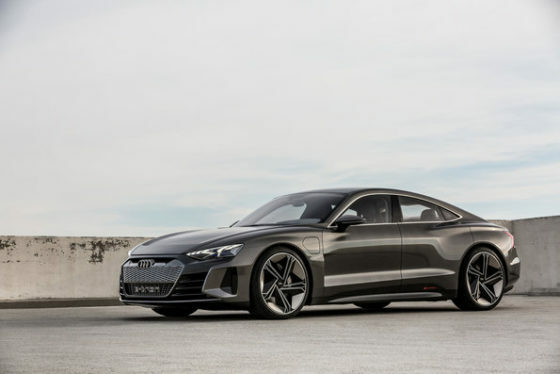 The brand with the four rings has its third pure electric vehicle in the pipeline, the Audi e-tron GT concept at the 2018 Los Angeles Auto Show. A four-door Grand Turismo coupé with an electric drive, it comes right behind the Audi e-tron SUV and the Audi e-tron Sportback that’s set for production in 2019. It uses a flat-floor architecture for a low center of gravity and better dimensions (4,960 mm length, 1,960 mm width and 1,380) to take advantage of 581.9 brake horsepower sent to its quattro permanent all-wheel drive with torque vectoring via separate permanently excited synchronous electric motors on the front and rear axles. Acceleration is estimated at 3.5 seconds 0 to 100 km/h (0-62.1 mph) and a top speed of 240 km/h (149.2 mph). Range will be around 400 kilometers. Tire size is 285/30 size with 22-inch wheels. Multi-material construction is utilized to reduce weight including the use of carbon fiber on the roof and aluminum components supported by elements made of high-strength steel. 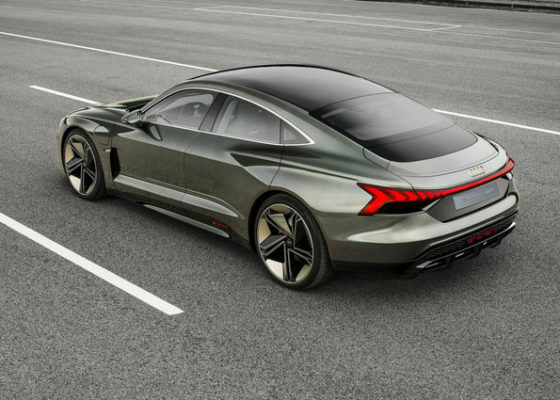 As both Audi and Porsche are under the Volkswagen Group, both collaborated on the technology behind this concept without taking away the Audi DNA. A new color called ‘kinetic dust’ introduces this concept. It is similar to titanium and according to Audi, ‘provides significant contrast between the body surfaces’. No animal-based products will be used in the cabin as it will boast of a purely vegan interior. Synthetic leather will be used on the seats and trim surfaces while recycled fabrics will be used on the seat cushions, armrests and center console. It is so eco-friendly even the floor carpet will be made of recycled fiber from used fishing nets. Luggage capacity will be at 450 liters in the rear and 100 liters under the hood. Audi estimates production to be sometime in 2020 with deliveries by 2021. By 2025, the automakers hope to have twelve all-electric drive units available to the global market.